The Challenger 6-20 Pipe Bender is designed to bend steel pipe of various wall thickness and alloys. It is manufactured with the highest quality products to provide endurance in the most adverse environmental conditions. The bending force is provided through the use of four (4) hy- draulic cylinders, two of which operate the stiffback and two which operate the pin-up. The operator controls are located on the front of the machine above the control stand. It is equipped with a lifting tongue for ease in relocating the ma- chine as the bending process moves down the right-of-way. Caterpillar model C 4.4 diesel engine—99.5 HP (Other engine options available at customer’s request). Hyraulic controls allow one operator complete control of all bending machine functions. Hydraulically driven DP winch is used to move the pipe through the bending machine. Indicator rod calibrated so that the operator can consis-tently make uniform bends. 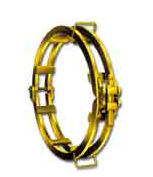 Bending sets are required for each pipe size within the machine range. 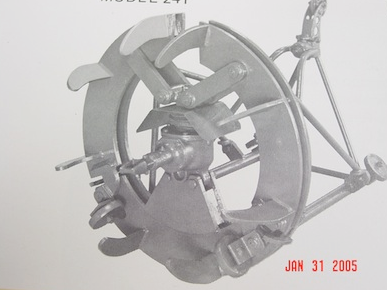 Machine designed to handle urethane liners for 30” pipe. 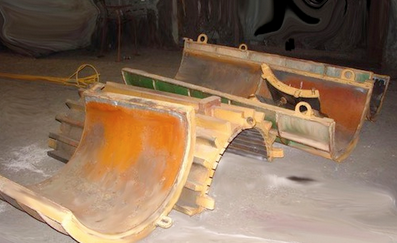 Machine is designed to bend all grades of currently available API 5L pipe within its range. Towing tongue on the bending machine is attached to the stiffback and can be raised and lowered when con-necting to a tow tractor. Machine mounted on 15 ton tracks. Caterpillar model C 6.6 diesel engine—173 HP (Other engine options available at customer’s request). 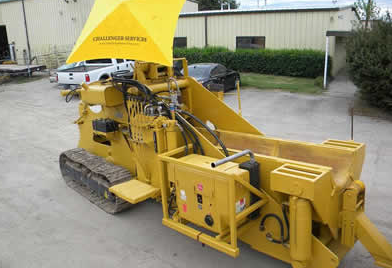 Hydraulic controls allow one operator complete control of all bending machine functions. Hydraulically driven DP winch is used to move pipe through the bending machine. Machine designed to handle urethane liners for 36” pipe. or with linings, to correspond to the coating on the pipe (see bending set recommendations below). Liners can be supplied as spray, poured or strip urethane, copper, brass or stainless steel. required for each diameter of pipe. bending sets and dies are available for non-standard diameters and/or pipe coatings. shield, FBE, Yellow Jacket, tapes and hot dope. The Pneumatic Wedge internal Pipe Bending Mandrel was developed to preserve radial contour of pipe walls during pipe bending processes. It applies powerful radial support to the inner walls, yet remains flexible lengthwise to bend with the pipe. 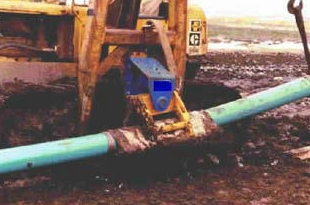 It is positioned and controlled manually within the pipe by a reach rod. It is particularly successful in providing a smooth bend with no “out-of-round”. Need an internal manual clamp? 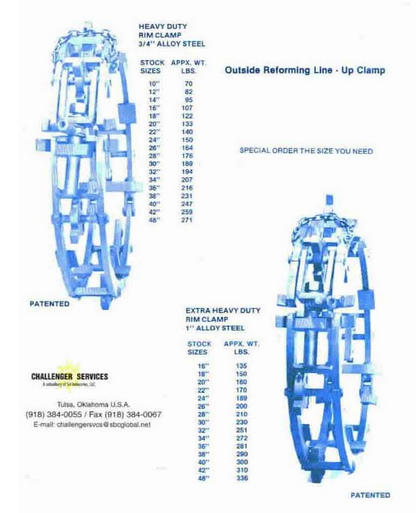 Challenger services has you covered with clamps built to last. a choice of closure mechanisms. With these options, the contractor can order the clamp which will best do his job.